One doesn’t need a sophisticated philosophical system to form a skeptical stance vis-à-vis Jesus. The question has often been asked, but rarely so well as by Natalie Angier: “How can a bench-hazed Ph.D., who might of an afternoon deftly puree a colleague’s PowerPoint presentation on the nematode genome into so much fish chow, then go home, read a two-thousand-year-old chronicle, riddled with internal contradictions, of a meta-Nobel discovery like ‘Resurrection from the Dead,’ and say, gee, that sounds convincing?”2 But her premise is clear: “Science is not arrogant. Science trades in the observable universe and testable hypotheses.”3 Perhaps it does, and perhaps it isn’t arrogant, but when it assumes that what is observable and testable is all that can be known and all that is worth knowing, her denial is perhaps stretching the skin of the fox over ones epistemology. But, one doesn’t need this scientific skepticism about faith to question the orthodox view of Jesus. Such a hermeneutic of Jesus that contends that he is (or was) something “else” and “less” began in his own lifetime. Often ignored, these “labels” pinned to the tunic of Jesus are worthy of explanation. If traditional, orthodox Christians tend to operate with a “Christology from above” (using their creedal conviction that Jesus is Son of God and divine), and strict modernist historians want to operate with a “Christology from below,” the labels tossed at Jesus during his time enable us to construct what amounts to a “Christology from the side” – from those who were with Jesus but who did not follow him and who therefore did not come to the conclusion that Jesus was indeed “from above” and was more than a normal Jewish male. Before Jesus was born he had a label, and so did his mother. Mary was accused by some of adultery, and that made her a na’ap (adulteress), and that meant that her son, Jesus, was a mamzer (illegitimate child), and that meant that both of them had reputations and set people to talking about them. Jesus is called the “son of Mary” (Mark 6:3), a delicate little accusation with social potency, because it was believed by some that he was not truly the “son of Joseph.” This label, to use the words of the linguists, is a “performative utterance,” the way “liberal” and “conservative,” or “capitalist” and “communist,” or “Arminian” and “Calvinist,” or “evidentialist” and “foundationalist,” function in certain settings. The words “effect” and bring into reality an assignment that sticks to a person, and the label divides the group’s perception of a person. Fourth, one accusation against Jesus deserves more attention than it is often given. Once, the Gospels of Matthew and Luke (a so-called Q tradition) tell us, Jesus was accused of being (and the translation is mine) “a glutton and drunkard, a friend of tax collectors and sinners” (Matt. 11:19; Luke 7:34). According to Deuteronomy 21:18-21, when a son becomes rebellious (sorer wu-moreh in Hebrew) and does not respond compliantly with discipline, he is brought before the elders and charged with being a “glutton and drunkard” (zolel we-sobe). The charge results in a sentence of death by stoning. The implication is that Jesus charge for being a “glutton and drunkard” probably had much less to do with how much or what he was ingesting, than with whom he was eating. In other words, what his opponents wanted was to put Jesus down and they found a legal accusation that would get the job done: “if we can get the label zolel we-sobe to stick, we can get rid of him.” What Christians often find challenging and even justifying – Jesus’ overt crossing of boundaries in order to show compassion – was seen by some of his contemporaries as repulsive, Torah-denying behavior. More seriously, some of Jesus’ contemporaries accused him of blasphemy. Some have rendered a judgment that the Gospels are not historically accurate because the accusation of blasphemy against Jesus in the trial narrative does not cohere with other Jewish evidence for what constitutes “blasphemy.” Mark 14:64 is normally the targeted text, and the evidence against it is the much later rabbinic text, m. Sanhedrin 7:5, where it states that blasphemy is not technically committed unless one uses the sacred name of God (YHWH). However, two recent pieces of research have completely overturned this verdict and suggest that “blasphemy” could be understood more generally for claims of an exalted nature – claim too much for yourself, that you are the Son of God in some special sense, and the charge could be your label to wear.4 The irony is obvious: what is seen by one as blasphemy is narrated by the other as Truth. The opponents think he can be diagnosed on Axis one of the Diagnostic and Statistical Manual of Mental Disorders; the disciples think they are in the presence of God. Sixth, some skeptics at the time of Jesus thought he was a false prophet and deceiver. This, too, has Old Testament roots. Luke 7:39: a Pharisee thinks that, if Jesus were a prophet, he’d not let the sinful woman touch him. Mark 8:11-13: if Jesus were “the” (Mosaic) prophet, he’d do the sign to make it obvious. Mark 14:65: if Jesus were a prophet, he would prove himself on the spot (and from the cross!). At Luke 23:2, 5, and 14, Jesus is accused of deceiving the people. Matthew 27:62-64 baldly states it: Jesus is an “impostor” who leads a deception. False prophets, as the Torah clearly teaches, are to be put to death – and this puts us back with the “rebellious son” charge. The end justifies the label. The accusation was “often and early” (as we say in Chicago about voting). When the followers of Jesus were beginning to dance with the sacred term “Messiah” for Jesus, skeptics were banging a different drum: he was a false prophet. Finally, the loudest irony of the entire Gospel narrative about Jesus is that he was finally accused for claiming he was king of the Jews (Mark 15:2, 9, 12, 16-20, 26, 32). Nothing could be more historical about Jesus: he preached the kingdom, he never became the “King of the Jews,” and his early followers would never have made this up. And yet, his followers, at some level, did think he was not only King of the Jews but also Lord over the Gentiles (and Romans) as well. This is a sustained point recently made in Tom W rights synthesis of Paul’s theology: What Saint Paul Really Said.5 This, too, is a label pinned to Jesus that both did not fit (he was not that sort of king) and did fit (he will be Lord over all; Phil. 2:5-1 1). This “Christology from the side” reveals that Jesus forced a cleft in his society – both in Galilee and in Judea. He was either who he claimed to be – and no one title will capture it all, not even Messiah – or he was a fraud, a deceiver, and something else or less. The skepticism about his own “self-narrative” began early, and it continues in our day, with scarcely no new suggestions on the part of the skeptics. Before we explore briefly what it means to search for the “historical Jesus” at the level of epistemology and cogency and authority, and before we offer remarks on what it means to do “history,” we need to examine what modern skeptics are saying about Jesus. It is not easy to know where to begin, but two modern scholars will make the point s clear: J.D. Crossan and M. Borg. I know each; I have shared table and correspondence, and even radio mikes, with them. But, I disagree with their presentation of Jesus and they with mine. My claim is that I have nothing new to say about who Jesus was, and neither do they. Another claim is rather pointed: while the studies of Crossan and Borg do not overtly label Jesus as a deviant, each dismisses the classical orthodox Jesus in favor of a “new narrative” about Jesus, a narrative to which each confesses some sort of allegiance and which each “preaches” as the “real” Jesus who is more provocative and relevant for our day than the orthodox Christ. And here s the pointed point: there is so little “orthodoxy” left in each of these scholars that the term “heresy” no longer applies. The Jesus of the Gospels – the final product – a Jesus who is truly Son of God, who is conceived supernaturally, who dies for sins, and who is raised, is not the Jesus of their narrative. That Jesus is rejected and another one is put in his place. The skepticism then is about the orthodox Jesus, not the value of Jesus (as he really was). Dom Crossan’s Jesus is hard to simplify, perhaps because he is too simple. Jesus is for Dom a Jewish Mediterranean peasant cynic; he is altogether human. The Gospel records are filled with theology and not all that much history – his terms are that they are “theology historicized” rather than “history theologized.” This theology is not bad, but it is not history. Jesus was not in reality what the Church thinks he is. He was not the Christ of the creeds, but a wandering teacher who practiced “open commensality” (table fellowship with all). Crossan is secular Catholicism’s G.K. Chesterton, and Chesterton’s fiction is sometimes disguised in Crossan’s non-fiction. Perhaps his most memorable statement is that the “Jesus Wars made it clear that historical Jesus research is open-heart surgery on Christianity.”6 What is also clear is that Crossan’s methodology of a scientific “stratigraphy” of our sources is the foundation for his entire construction of Jesus, and his methodology is eccentric and has been devastatingly analyzed in detail by Dale Allison, America’s foremost Gospel scholar.7 In short, Allison has demonstrated that Crossan’s method is a Pyrrhic victory: he has glowing confidence in knowing what is unknowable – the dates of putative sources, the relationships of one source to another, and the theology of those who wrote those putative sources. As Allison comments about all (of us) who write on the “tradition-histories” of individual sayings of Jesus: “Our curiosity is too great, as is our vanity” and “We cannot separate chemical compounds with a knife.”8 This point cannot be emphasized enough: if Crossan’s method fails, the entire construction collapses with it. But there are problems apart from method. For Crossan, Jesus is a cynic, he is a peasant, and he is Jewish. I have little truck with Crossan’s comment that Jesus was a “peasant,” even if I disagree with his need to demonstrate how peasants behave by appealing to evidence outside Judaism and the first century and with his tendency to locate Jesus among the rebellious sorts of peasant s. This is clear: Jesus was poor, and was not p art of the establishment. (For that matter, few were and this is perhaps not given serious enough attention.) I also have little to add to the ongoing discussion about “open commensality” on the part of Crossan; his design to demonstrate an egalitarian Jesus, while it scoops up the important themes of love and compassion and boundary-breaking by Jesus, makes one suspicious that there may be a modern agenda against clericalism and hierarchy and Church authority driving his exposition. Nonetheless, there are some good sections in this general direction of Crossan’s work. More importantly, Crossan’s contention that Jesus was a cynic has been undermined by David Aune.10 “Cynic,” a transliteration of kunikos (“doglike”), was a label pinned to the lapel of (and of ten worn proudly by) those who pursued freedom from normal cares of the world – including food, clothing, family, marriage, social obligation, emotions, and even life it self (through suicide). As a direct counter to the classical works of Plato and Aristotle, a life of virtue was a contradiction to a life of the polis (city-state). The Cynic was aggressively contrarian as well an unconventional in appearance, but Cynics had no recognizable systematic thought. One of Aune’s most import ant points is that what we know about the Cynics is far “less” than we formerly knew, and the works of many Jesus scholars who use data about the Cynics is dated. These features of the Cynic movement render “parallels” with Jesus problematic, for if there is anything true about Jesus it is that he had a systemic body of teaching (kingdom, etc.) and, while he was clearly “contrarian” when it came to the establishment – especially in Jerusalem and notably with the Pharisees – Jesus was noted for his compassion and his willingness to let the entire Torah filter through his amendment to the Shema (cf. Mark 12:28-34).11 Most importantly, there is yet to be one shard of evidence of a Cynic presence in Galilee and, therefore, to appeal to the general possibilities that flow from the powerful work of Martin Hengel – that Judaism and Hellenism were intertwined – simply wont work for 1stCentury Galilee, especially for hamlets like Nazareth and with “peasants” like Jesus and his followers. Furthermore, the modus operandi of the Cynic was to counter the Greco-Roman city-state, and this leaves Jesus virtually without someone to counter – unless one wants to suggest that Jesus spent most of his ministry badgering the leaders in Sepphoris (for which, again, there is no evidence). Finally, Aune point s to scholarship s tendency to see parallels between Jesus pronouncement sayings (short context s with a one-liner that punches the lights out of those with whom he is jousting) and Cynic chreiai (short stories with a punch line). Aune contends that, while there are very broad similarities, the fundamental stance of the chreiai and stories about Jesus are substantially different, rendering any suggestion of similarity questionable. For Crossan, Jesus is a social contrarian. A new narrative about Jesus is told, a narrative that Crossan makes believable and readily accessible to the Western world. Before we come to terms with what it means to tell a new narrative about Jesus, we need to consider another modern narrative about Jesus. Because of lack of space and because Borg’s views are relatively well known, it will be of some use here to show what Borgs (and mutatis mutandis also Crossan and Chilton below) ultimate intention is. It has been observed since the days of the German theologian and harsh critic of historical Jesus studies, Martin Khler, that Christian faith is not and cannot be dependent upon historical studies. There is truth in this: the Church cannot be waiting at the end of the day to see if the Faith will survive another historian s analysis. But, there is another truth: nearly every historical Jesus scholar believes in the Jesus he or she re-presents. Borg is no exception. All of this is derived from Borg’s narrative of a Jesus who was compassionate and who was a spiritual genius. This Jesus leads to being “born again” (the recovery of our true self), to a commitment for justice (the central concern of “kingdom” for Jesus), to opening the heart and developing “thin places” (vulnerability to seeing God at work in our world), to transforming the heart from sin through salvation (where “sin” is but one metaphor for our need of a “way” of liberation to have a life with God), and finally to the heart of it all: practice (paying attention to God, forming Christian identity and character, nourishment, compassion and justice, and living “the way”). We live, Borg contends, in a pluralistic world and what makes us Christian is not our faith, but our heritage and our practice. Religions are to be seen as “sacraments of the sacred,” sacrament s of cultural-linguistic traditions, wisdom traditions, as well as aesthetic traditions, and they are shaped in communities of practice and transformation. We are, he says, Christians because it is for us that “sacrament of the sacred,” because it is “home” for us. Rather than offering a detailed point-by-point analysis of Borg, whose views are as common as pluralism, it is my intention here simply to point out what is going on in modern historical Jesus scholarship, particularly among what might be called its “believing skeptical adherents.” That is, both Crossan and Borg consider themselves “Christian” in some sense, though they disavow faith in the traditional sense. Because I have often been asked this question, perhaps this is a good place to answer it: “What good is the historical Jesus?” Now this might seem like a rather nave question, but the instinct in the question is dead-on. It means we have to define our terms. To answer the question up front, I would say (now) that the “historical Jesus” is of some, but not much, good. Many Evangelicals have undertaken to write historical Jesus books, but whether they say so or not, the entire project either puts their faith in jeopardy (which is really a modernist impulse that finds it self interwoven into the entire apologetical tradition of the faith), or it must be bracketed, or it is undertaken to demonstrate the veracity of the traditional faith (in which case it is usually panned by most in historical Jesus scholarship). 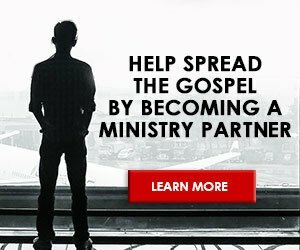 I’ve participated in historical Jesus scholarship for nearly a decade, and know some of the responses. Because I wanted to “do” historical Jesus scholarship “before” I seriously studied “methodological questions,” I devoted the last decade to such work. At the beginning of that decade, I began work on a survey of the teachings of Jesus in his historical, national context. I did my level best to see what Jesus would be like if we assumed (and some did not catch this assumption of my book) that Jesus’ focus was on the restoration of Israel (which is where historical Jesus scholarship was, and still is, in most regards). For that sort of book, I assumed texts to be historical and, instead of working at proving that each and every bit was authentic, I sought to expound the teachings of Jesus in a national context. I’m reasonably satisfied with that book, A New Vision for Israel, though I never considered it to be anything more than an experiment in historical method, an experiment of seeing what Jesus teachings would look like if extruded through a national hermeneutic. I never saw that study as a complete picture of Jesus. When that was done, I was committed to do another study, this time more concerned with authenticity, and I wanted to study a topic of serious interest. I began work on Jesus and eschatology, but that quickly turned into a monograph on conversion17 and it left me still working on a historical Jesus book. Because of an invitation to give a paper at the SBL Historical Jesus section on how Jesus understood his death, I began serious research on that topic. Four years later I submitted a manuscript to Baylor University Press, and at the end of that project I turned to historical methodology in historical Jesus studies, and I wish to give a brief synopsis of that study of historiography and the historical Jesus. First, one cannot speak of historical method without dealing with the structuralists like Hayden White and the postmodernist historians like Keith Jenkins and F.R. Ankersmit.18 It is impossible to summarize their works in a context like this, and they each carry their own baggage and speak with distinct and protected nuances, but the fundamental issue concerns the role of Subject and Object in historical study. That is, can a modern historian genuinely leave his or her own skin (Subject) and let the ancient evidence (text, evidence, data, facts, etc. ; the Object) shape what is seen and said about some topic (in this case, the historical Jesus). While a former generation may have thought that it could simply be “objective,”19that naiveté is now considered passe.20 We will never get behind this fundamental challenge to epistemology, even if we can more or less successfully challenge it. Fourth, the postmodernist linguistic turn in historiography has given to traditional faith a gift: if narratives are mental representations of Jesus, then the one and only narrative that can be called Christian is the canonical (one might add also creedal) narrative about Jesus. That is, the Gospels are narratives about Jesus, and those narratives established and defined the identity and theology of the earliest Christians. This narrative gave birth, over time and under different circumstances, to the ecumenical creeds of Christendom. Behind these one cannot go if one is seeking to present (or represent) historical knowledge about Jesus in a comprehensive narrative form. Because this is the case, historical Jesus scholarship that presents a new narrative about Jesus – in effect, a new Gospel – will find it self running out of gas very quickly if it is seeking to shape Christian theology in any traditional sense. It might be fine to do historical Jesus studies for the sake of “pure history” (though such a field does not really exist), but any historical Jesus study, Crossan’s and Borg’s included, that is seeking to find a Jesus to be believed in can only call it self Christian to the degree that it coheres with and supports the canonical and creedal narrative about Jesus. Scot McKnight is the Karl A. Olsson Professor in Religious Studies at North Park University, Chicago, Illinois. 1 The following essay puts together several studies of mine, including Who Was Jesus? Understanding His Identity in Light of Historical Scholarship (Norcross, Ga.: RZIM, 2002); “Who is Jesus?”, in Jesus Under Fire! Crucial Questions about Jesus (ed. M.J. W ilkins, J.P. Moreland; Grand Rapids: Zondervan, 1995), 51-72; A New Vision for Israel: The Teachings of Jesus in National Context (Grand Rapids: Eerdmans, 1999); and the forthcoming study, Jesus and His Death: Historiography, the Historical Jesus, and Atonement Theory (Waco, Texas: Baylor University Press, 2005). 2 Natalie Angier, “My God Problem and Theirs,” The American Scholar 73 (2004): 132-133. 3 “My God Problem,” 132. 4 See now D.L. Bock, Blasphemy and Exaltation in Judaism: The Charge Against Jesus in Mark 14:53-65 (Grand Rapids: Baker [reprint], 2000); A.Y. Collins, “The Charge of Blasphemy in Mark 14.64,” JSNT 26 (2004): 379-401. 5 Grand Rapids: Eerdmans, 1997. 6 Crossan’s major works are: The Historical Jesus: The Life of a Mediterranean Jewish Peasant (San Francisco, Calif.: HarperSanFrancisco, 1991); Jesus: A Revolutionary Biography (San Francisco, Calif.: HarperSanFrancisco, 1994); A Long Way from Tipperary: A Memoir (San Francisco, Calif.: HarperSanFrancisco, 2000), quoting here from p. xv. A solid evaluation of Crossan can be found in B. Witherington III, The Jesus Quest: The Third Search for the Jew of Nazareth (Downers Grove, Ill.: IVP, 1995), 58-92. 7Jesus of Nazareth: Millenarian Prophet (Minneapolis: Fortress, 1998), 10-33. 8Jesus of Nazareth , 31, 33. 9 A very useful, but generally unknown, study in this regard is A. Motyer, Look to the Rock: An Old Testament Background to Our Understanding of Christ (Leicester, England: Inter-Varsity Press, 1996). 10See his Jesus and Cynics in First-Century Palestine: Some Critical Considerations, in Hillel and Jesus: Comparative Studies of Two Major Religious Leaders (Minneapolis: Fortress, 1997), 176-192, who draws swords with several scholars, including Burton Mack, F. Gerald Downing, and J.D. Crossan. 11See my recent popular work, The Jesus Creed: Loving God, Loving Others (Brewster, Mass. : Paraclete, 2004). 12 Borg’s major studies are: Conflict, Holiness and Politics in the Teachings of Jesus (forew. N.T. Wright; Harrisburg, Penn. : Trinity Press International, 1998 [=1984]; Jesus, A New Vision: Spirit, Culture, and the Life of Discipleship (San Francisco, Calif.: HarperSanFrancisco, 1987); Meeting Jesus Again for the First Time: The Historical Jesus and the Heart of Contemporary Faith (San Francisco, Calif.: HarperSanFrancisco, 1994); The Heart of Christianity: Rediscovering a Life of Faith (San Francisco, Calif.: HarperSanFrancisco, 2003). 13 Heart of Christianity, 69, 66. I was first made aware of this religious tradition of Borg’s by a student of mine, Dana Ostby. See his fine master’s thesis, with an early interview of Borg: “The Historical Jesus and the Supernatural World: A Shift in the Modern Critical Worldview with Special Emphasis on the Writings of Marcus Borg,” (M.A. thesis, Trinity Evangelical Divinity School, 1991). 14 Heart of Christianity, 70. 15 Heart of Christianity, 89. 16 Heart of Christianity, 99. 17 Turning to Jesus: The Sociology of Conversion in the Gospels (Louisville, Kent. : Westminster John Knox, 2002). 18 Hayden White, Metahistory: The Historical Imagination in Nineteenth-Century Europe (Baltimore, Md. : Johns Hopkins University Press, 1973); K. Jenkins, On ‘What is History’? From Carr and Elton to Rorty and White (London: Routledge, 1995); F.R. Ankersmit, Historical Representation (Stanford, Calif.: Stanford University Press, 2001). 19 For a standard sense of “objectivity” in modern historiography, in the sense that it is what survives critical peer scrutiny, see the influential textbook of J. Appleby, L. Hunt, and M. Jacob, Telling the Truth About History (New York: W.W. Norton, 1994), 241-270. 20 I recommend R.J. Evans, In Defence of History (London: Granta, 2000), for a chastened historiography after the postmodernist challenge. 21 N.T. Wright, Jesus and the Victory of God (Christian Origins and the Question of God 2; Minneapolis: Fortress, 1996); James D.G. Dunn, Jesus Remembered (Christianity in the Making 1; Grand Rapids: Eerdmans, 2003); C.L. Blomberg, The Historical Reliability of John’s Gospel (Downers Grove, Ill.: IVP, 2001).